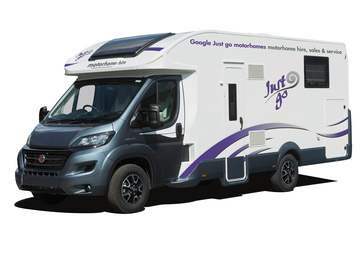 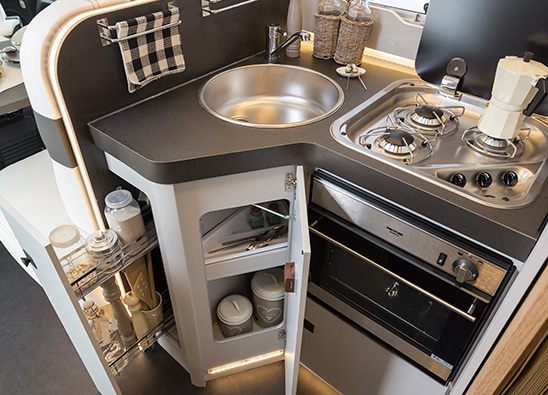 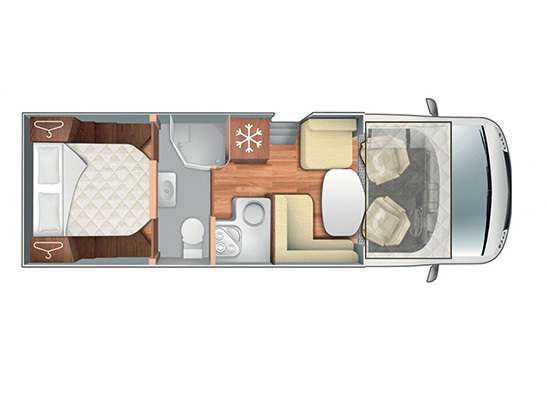 Travel in the height of luxury with this a-class motorhome. 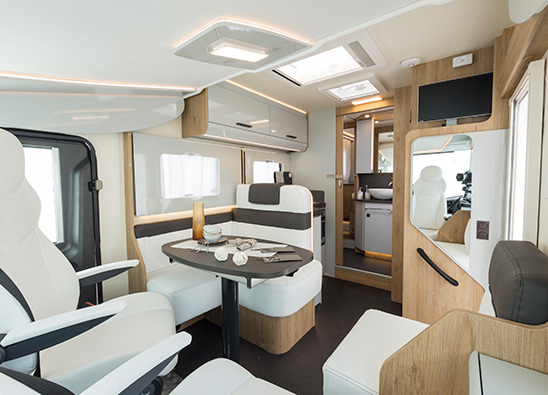 A huge windscreen offers fantastic panoramic views whether on the road or on site. 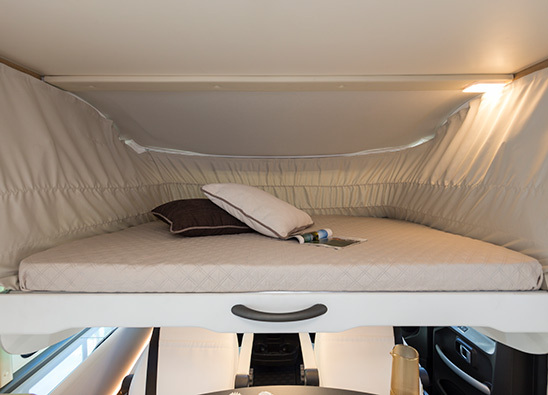 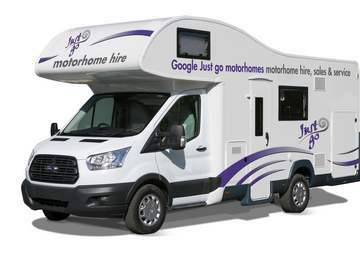 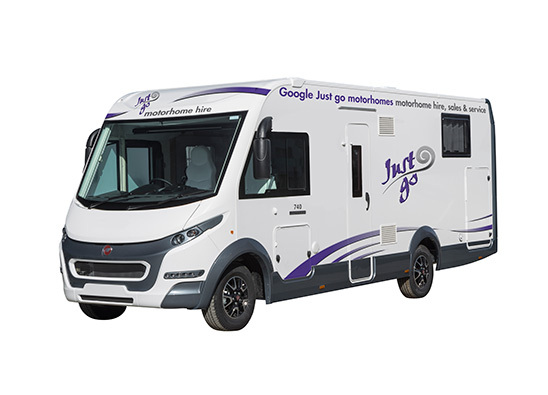 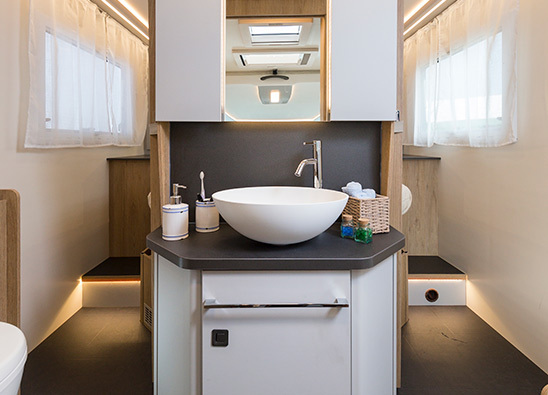 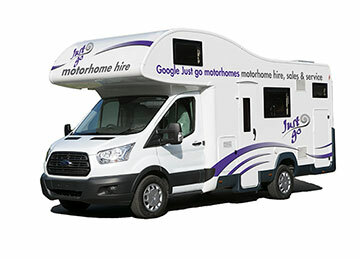 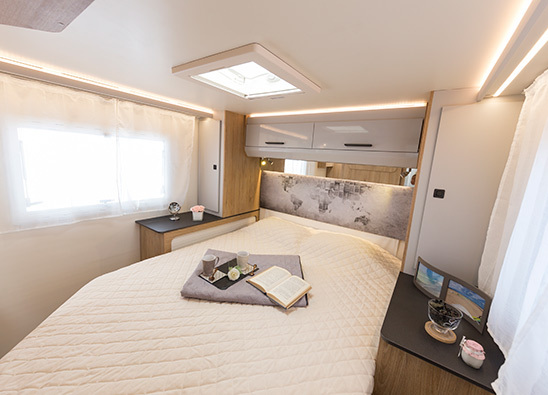 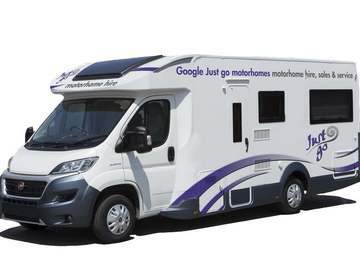 The rear bedroom boasts an island bed which can be adjusted to the perfect height for you and another large double bed can be pulled down from the ceiling at the front of the motorhome. 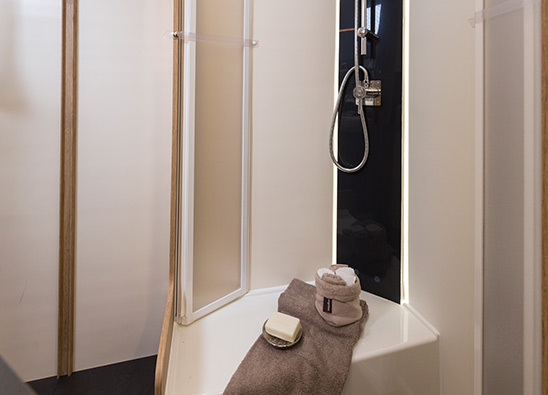 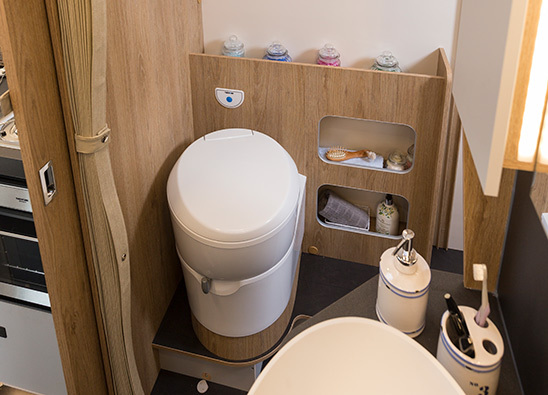 The dividing door and separate shower and toilet offer privacy and the swivel cab seats add to the already spacious lounge area.